Ludington: Riverflats Coffee & Tea offers a variety of specialty coffees and teas, breakfast, lunch, and sweet treats. Select specialty pastries are also baked daily in-house. All products are served by friendly staff who always greet customers with a welcoming smile. 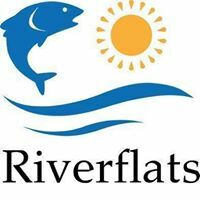 Riverflats is located just off of South Pere Marquette highway and offers a drive-thru window and outdoor seating.